Firecracker Lacquer and Darling Diva Polish are killing it with this limited release duo. The colors compliment each other in a way that is unbelievably hard to replicate. Notes: The blue flecks in this are just delightful. Notes: I love how the blue shimmer ties in with the blue flecks. This was a limited release from Firecracker Lacquer and Darling Diva Polish. There are only two sets of the duo left in the Firecracker Lacquer store. I recommend picking up this lovely pair before they are gone forever. Skincare is something that has become important to me over the last year. One of the most important parts of skincare is sunscreen. A good sunscreen can help prevent all kinds of sun damage without clogging pores. Finding a good facial sunscreen can be quite a challenge. I decided to put Heliotop 360 Sunscreen to the test last weekend. Instead of writing several paragraphs on the topic that you most certainly won't read, scroll down for the pros and cons. I would not personally purchase this product in the future. I had high hopes initially, but they were diminished by the appearance of my skin later that day. My hunt for the perfect sunscreen will continue. If you have any recommendations for a good facial sunscreen please leave me a comment below! One of the worst things that can happen to nail polish is retirement. Some colors get retired because the pigments and glitters no longer exist. Other times it's because a maker needs to make room in their store for new content. Regardless of the reason it's a sad situation. 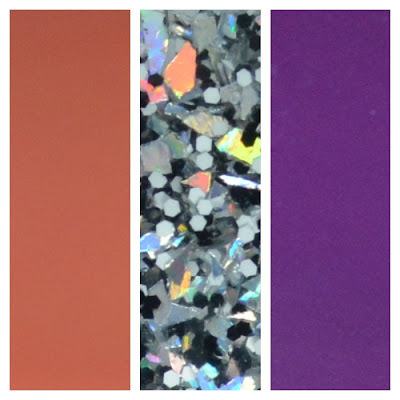 Today's post features Vampy Valentine Holo which is scheduled to retire soon. Vampy Valentine and Vampy Valentine Holo are being retired. As of right now the holo version (swatched above) is still available, but I don't anticipate that lasting long. This is it guys! 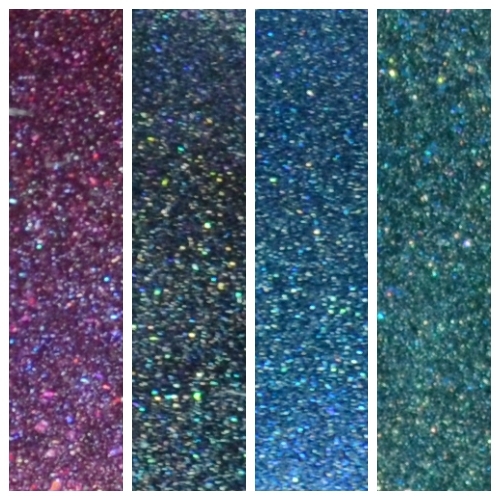 The Deathly Holos collection is everything you could imagine and more. It's super vampy while packing quite a bit of sparkle. Notes: My bottle is thicker than FCL's test bottle. I mentioned this to Kendahl, and she said she would be decreasing the pigments to help with the consistency. Notes: This is just the purple I was looking for. I have so many ideas for this killer holo! Notes: This color is so stinking pretty. I had a tiny bit of staining, but it came off in the shower. I think it was due to having dry, damaged nails. Notes: I think this is my favorite color in the collection. I had a tiny bit of staining, but it came off in the shower. I think it was due to having dry, damaged nails. This collection is exactly what I was looking for in an autumn release. I will be working on at least one nail art look using this collection soon! The Deathly Holos Collection and the holographic flask will be available on Thursday, September 24th at 5pm pst/8pm est. Vaseline Intensive Care Spray Moisturizer has been my go-to product this summer. I tend to be far more busy during the summer, so it's important that my products are quick and easy to use. I don't usually care for Vaseline, but the spray moisturizer is nothing like your mothers tub of petroleum jelly. Think of this as being more like a non-sticky spray on aloe. 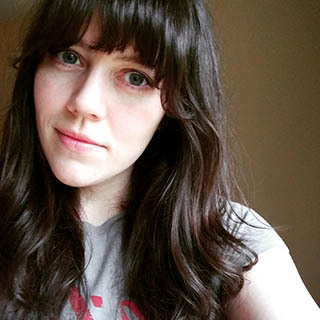 I liked loved the application method and the product itself. The only downside was that I ran out way before I expected to. I will be repurchasing this again in the future. I think the next one I will try is the Cocoa Radiant Spray. Is your go-to moisturizer doing its job, or are you looking for a replacement? I heard a rumor that Ninja Polish might have another bottle of Streaking Ninja set aside for a giveaway. Keep an eye on her for updates. You may not be able to get your hands on Streaking Ninja, but I highly recommend that you pick up some fab plates from Uber Chic. September 10, 2015 -- Firecracker Lacquer and Darling Diva Polish have come together for a duo of epic proportions! The duo will be available Friday September 18th at 8pm EST, at www.firecrackerlacquer.com andwww.darlingdivapolish.bigcartel.com. The duo is VERY limited edition – only 10 sets in each shop. When they sell out, they’re gone for good, so don’t wait! The duo will cost $25 including shipping. Purple Sticky Punch A fantastical purple-ish pink-ish satin finish polish with purple micro flakies, a bright purple flash, and a subtle holo shimmer. Beau Job An exceptional color-shifting topper filled with ultrachrome flakies and a holo shine. Pairs perfectly over Purple Sticky Punch, but gorgeous on its own as well!